The Asian Competition Forum (ACF) was formed in 2005 by a group of Asian-based competition law and economics academics who wanted to establish a broad –based regional association. The aim was to bring together academics, students, competition agency officials, private practice and in-house lawyers, economic consultants, business and consumer representatives who had a common interest in competition policy, law and economics. The ACF is a society constituted and registered under Hong Kong law. Membership is open to anyone with an interest in Asian competition policy, law or economics. ACF holds at least one conference per year usually in Hong Kong but we have also worked in partnership with regional competition agencies to hold events in other countries in the region. ACF holds an Annual General Meeting (AGM) every year in accordance with its Constitution to elect members of the Management Board and the Advisory Board and to transact other matters of business (see the Constitution for details). ACF seeks to encourage research and teaching of competition policy, law and economics in the region and to encourage open debate about matters of current interest or controversy in a spirit of open enquiry and mutual respect. 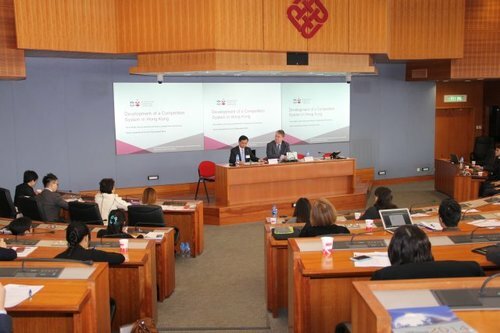 (e) To hold conferences to debate competition policy and legal issues regionally both in conjunction with the Asian Law Institute (ASLI) and independently. (h) conferences for continuing professional development purposes from professional organizations such as national Bar Associations and other national and regional bodies.